Steve is a Partner in the firm’s Audit and Assurance division. Steve has many years’ experience in external audit and financial reporting. He also has experience in internal audit, due diligence investigations and business consulting where he has provided advice to improve the efficiency and effectiveness of operations, accounting system design, risk management and corporate governance. Steve has been responsible for a broad range of audits from large public and private entities through to small association and funding audits. He has clients engaged in a large range of industries and activities which have included aged care, health care, education, sport, community services, transport, retail, manufacturing, building and superannuation. He has also developed expertise in providing advice on risk evaluation and management for organisations that have restrictions on implementing full internal controls. Steve has prepared financial reports requiring public reporting compliance with Australian and International Accounting Standards as well as special purpose financial statements. 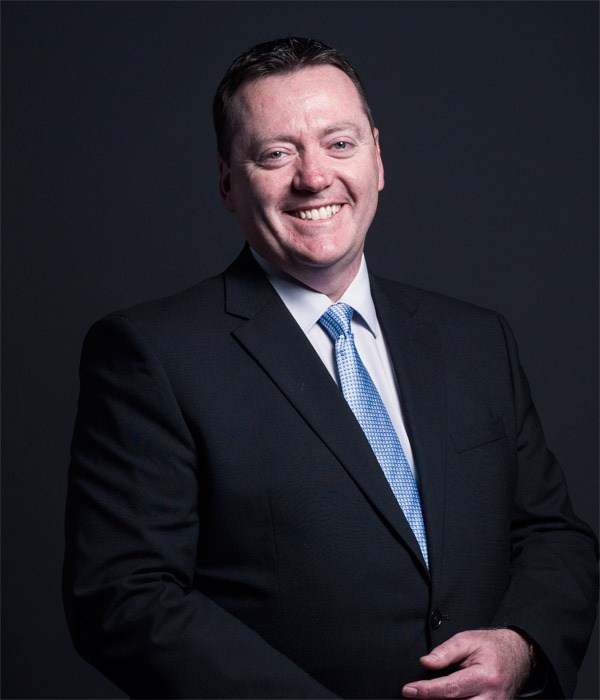 As a long term contributor to the Chartered Accountants Australia and New Zealand membership program as a trainer, exam marker and mentor, and as a presenter on financial reporting and assurance issues, Steve is well informed on the latest accounting and audit issues facing the profession and his clients. Steve is a Fellow of Chartered Accountants Australia and New Zealand, an ASIC Registered Company Auditor and approved self-managed superannuation fund auditor. He also holds a Master of Business Administration (MBA) and Bachelor of Economics (Accounting). Steve’s experience in audit and assurance involves assessing the risks of misstatement in a financial report by gaining a thorough understanding of the clients operating environment and business risks. This assessment is used to design audit procedures to address that risk and to provide useful information to the client as a result of the audit. Provided advice to a client on the appropriate level of financial reporting for their organisation. Steve provided advice on the factors and practical guidelines to consider in determining whether general purpose financial reports were required and provided a solution to satisfy the information needs of users of the financial report. Engaged to review the retail operations of a client to report on the efficiency and effectiveness of the financial systems and controls. A full review of the operations of the retail outlet was conducted and all supporting accounting systems and processes were identified. These were then assessed for efficiency and effectiveness in achieving their objectives. Recommendations were made that reduced costs and inefficiencies leading to improved profitability. Reviewed the costing process applied as part of a service agreement. An independent review was conducted of the identification of costs, the cost drivers and allocation of those costs to the services provided. This led to the client being able to determine appropriate charges for its services and for negotiation of these charges under the service agreement. Engaged to write an internal audit compliance program. This involved identifying the compliance requirements faced by an organisation in a heavily regulated industry. Advice was then provided on appropriate internal audit procedures to test compliance with these requirements and on reporting to the appropriate level of governance to allow for effective monitoring and reporting of compliance issues to regulators. Performed a due diligence review for a business acquisition. A client was seeking to acquire a business to vertically integrate the supply of its service. As part of the due diligence, areas of concern were identified in the strategic operation of the business being acquired. This led to the client avoiding a costly acquisition that would have resulted in losses.